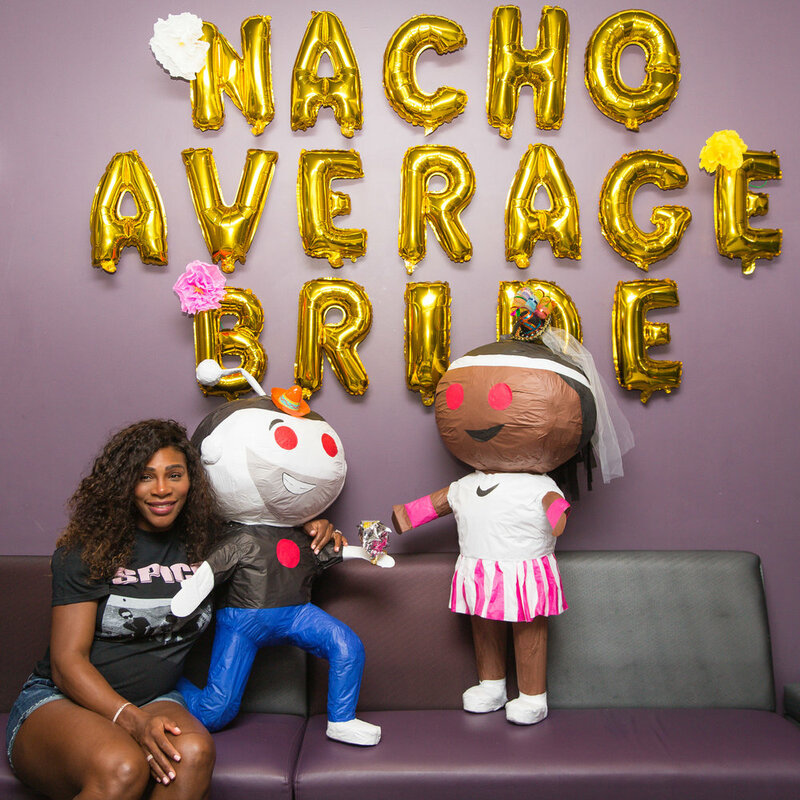 IN ADDITION TO WELLNESS PACKAGES TO HOTEL GUEST, H&S HAD 1 HOTEL SOUTH BEACH HOST SERENA WILLIAM’S BRIDAL SHOWER FOR HER AND 20 OF HER CLOSEST FRIENDS WHICH LED TO NUMEROUS FEATURES IN LIFESTYLE AND TRAVEL MAGAZINES AND REACHED OVER 8 BILLION PEOPLE. H&S needed to raise awareness surrounding 1 Hotels new wellness offerings, along with encouraging the South Florida community to embrace 1 Hotel as the ultimate staycation destination. To position 1 Hotel South Beach as Miami’s Wellness Hotel, H&S invited tennis champion Serena Williams and 20 of her closest friends for a Bridal Shower weekend on property. 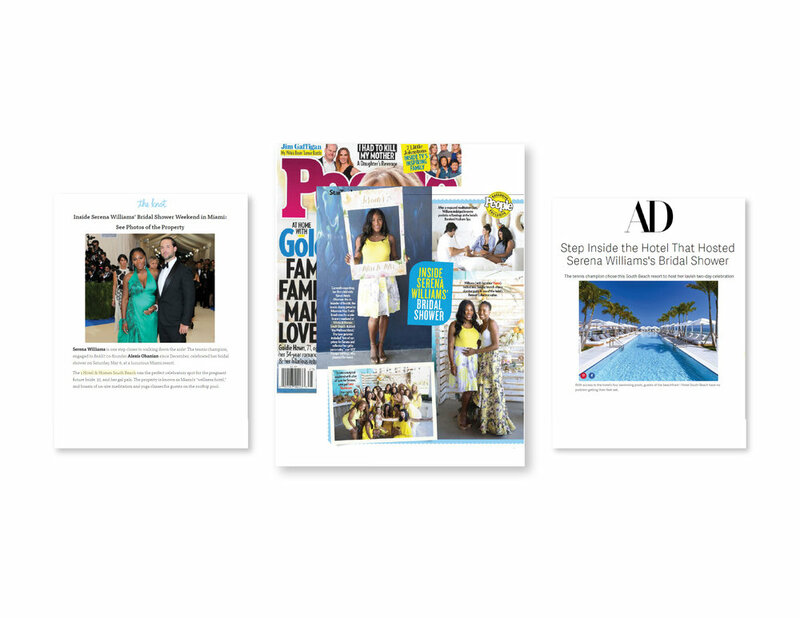 H&S strategically worked with People Magazine to break the Serena Wellness Bridal Shower story, securing a full page feature in the magazine and three online features with wellness woven throughout, including a home and travel feature offering an inside look at 1 Hotel South Beach as The Wellness Hotel. The story and images went viral to over one hundred outlets and garnered over 8 billion impressions.